What is dropshipping with Shopify about? Many future merchants, when searching for an appropriate CMS, sooner or later stop on this beginner-friendly platform. So, let’s immerse into engaging eCommerce world with MageDirect experts. Having read this blog post, you will get to know which steps are needed to run the dropshipping store from scratch. Stay with MageDirect team and keep on reading. Dropshipping is a perfect option for newbies who want to sale but have never tried managing eCommerce business. So, if you don’t have your production, experts recommend beginning exactly with dropshipping. This method of selling allows suggesting goods to customers, being only in the role of an intermediary. Along with that, you can extend your business and sell in other countries. And it sounds quite tempting. No financial risk: sell cost-effectively. In fact, it doesn’t require significant investment and the need to purchase goods. So, the starting capital is minimal. No one forces you to buy sale items and store them. Therefore, entrepreneurs avoid problems related to the purchase, storage, and sale of goods. It includes search, management or payment for warehouse rental, assembly, packaging, and sending orders, etc. The last but not least: this method of business doesn’t require much time. You can combine your main job and the new deal. You don’t have to quit your job for the sake of dropshipping. This fact makes it more attractive for people who strive to find the source of extra income. Although there are plenty of CMS for dropshipping, merchants tend to select Shopify, the industry-leading platform, created in 2004. And now we are going to prove why it is so popular nowadays. First of all, the number of customers using this online store builder is impressive. According to the stats, Shopify is trusted by more than 970,000 merchants worldwide. The CMS provides a comprehensive package of services. Quite often, a user has to buy hosting for the site and provide settings. It requires some experience in this area. But the platform even offers hosting for a future dropshipping store. Plenty of solutions: Shopify App Store is regularly updated with new free & premium applications. New apps save merchants a headache when it comes to solving problems regularly occurring in their eCommerce routine. Shopify supports users 24/7 via chat, email or call. It is great to know that you will get assistance at any moment when you need this. Dropshipping with this CMS is well-suited for beginners. The platform’s admin panel is easy to understand and navigate. 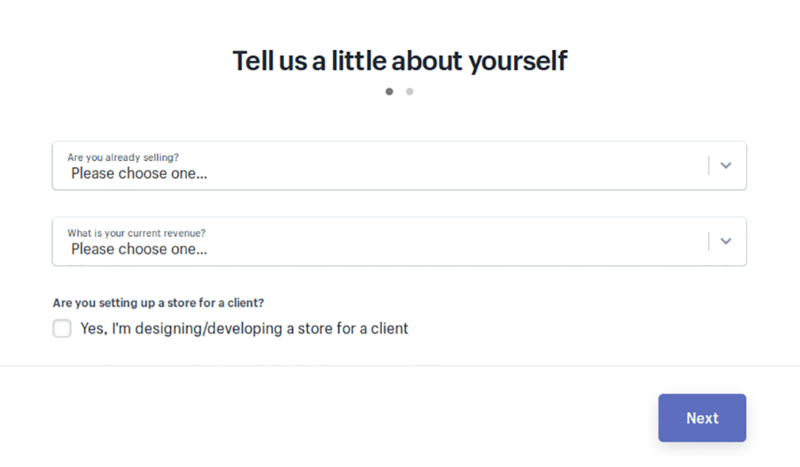 So, you can build a marketplace with zero experience without the help of a web developer or designer. 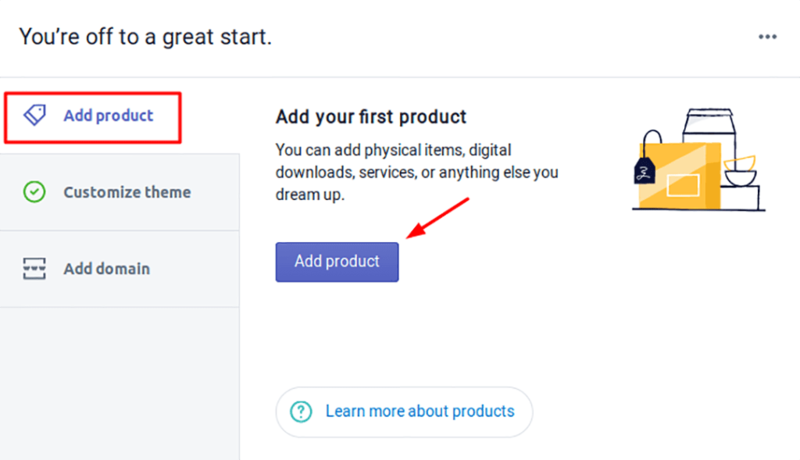 So, having determined to begin dropshipping with Shopify, go to the main tasks. Follow the instruction where we explain how to carve the way in eCommerce. 1. Go to Shopify site first. On the main page, you will see an empty field, enter your email there. You will get access to Shopify of a free 14-day trial. The next step is creating a password and a catchy business name. 2. Fill the gaps to continue. You should enter your personal data, including name, address, phone number, etc. 3. Then, you will get access to Shopify admin panel. It is easy to navigate and manage as the menu is very understandable. Click on items and try to get used to it. 4. The next step is adding a beautiful theme. To do this, go to Customize theme on the main admin panel page. 5. Choose one that you like most. 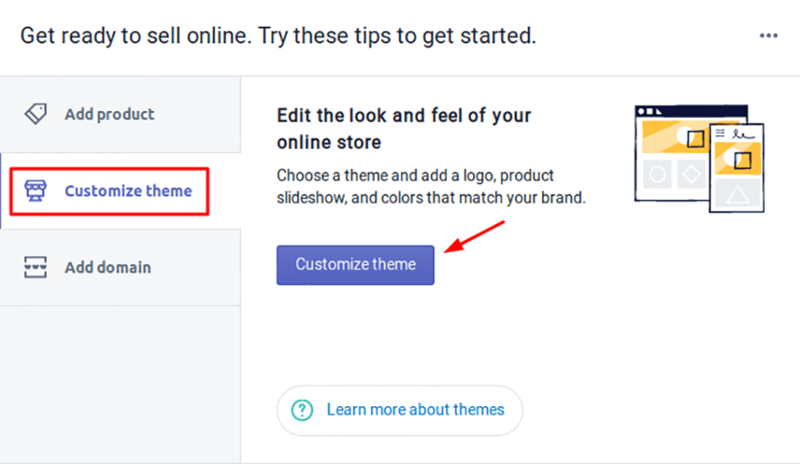 It is important to point out that Shopify suggests a considerable base of themes, both free & premium. If you need some inspiration, browse the list of the best 25 Shopify stores of 2018. So, taking into account your financial resources, pick up the most optimal choice for your marketplace. Thus, beginners are better to start with free themes, and when the business gains popularity, use paid topics. 6. Of course, care about the logo of your dropshipping shop as it makes your brand recognizable. So, invest your time and efforts into its creating. 7. Configure delivery methods, going to Settings -> Shipping. Recommendation from eCommerce experts: select as many options as possible, customers will appreciate it. 8. Choose payment systems, navigating to Settings -> Payment providers. Here you can determine which methods of payment will be most preferable. We should highlight that Shopify supports many payment systems, including Paypal, Authorize.net, Stripe, Skrill and so on. 9. So, it’s time to add products. 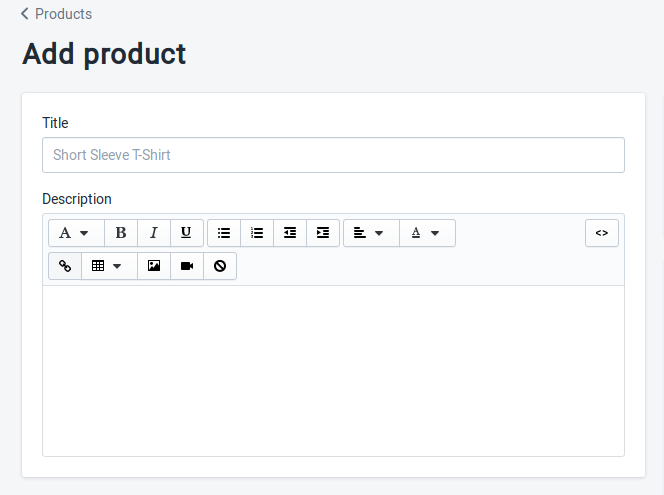 Go to the main admin panel page and click Add product button. 10. On the new page, specify a title and description for a sale item and then upload several images. Scroll down the page and fill the needed gaps. Actually, there are two ways of adding products: manually, importing a file or using third-party developments (e.g. the popular Oberlo app is favored by many dropshippers as it completes a vast part of work). 11. Having solved all the organizational tasks, adhere to an advertising campaign. Good luck! Does site performance affect eCommerce conversion rate? What is GDPR? How to follow it easily?